Marijuana use is up among middle and high schoolers. More middle and high schoolers have smoked marijuana over the past two to three years, even as their use of other drugs like the hallucinogens LSD and ecstasy has fallen, according to the latest update from University of Michigan researchers as part of their continuing "Monitoring the Future" study. the past two years (three years among 12th graders) following years of declining use, according to the latest Monitoring the Future study, which has been tracking drug use among U.S. teens since 1975. "So far, we have not seen any dramatic rise in marijuana use, but the upward trending of the past two or three years stands in stark contrast to the steady decline that preceded it for nearly a decade,'' said University of Michigan researcher Lloyd Johnston, the study's principal investigator. "Not only is use rising, but a key belief about the degree of risk associated with marijuana use has been in decline among young people even longer, and the degree to which teens disapprove of use of the drug has recently begun to decline. Changes in these beliefs and attitudes are often very influential in driving changes in use." The study is conducted by University of Michigan researchers for the National Institute On Drug Abuse. 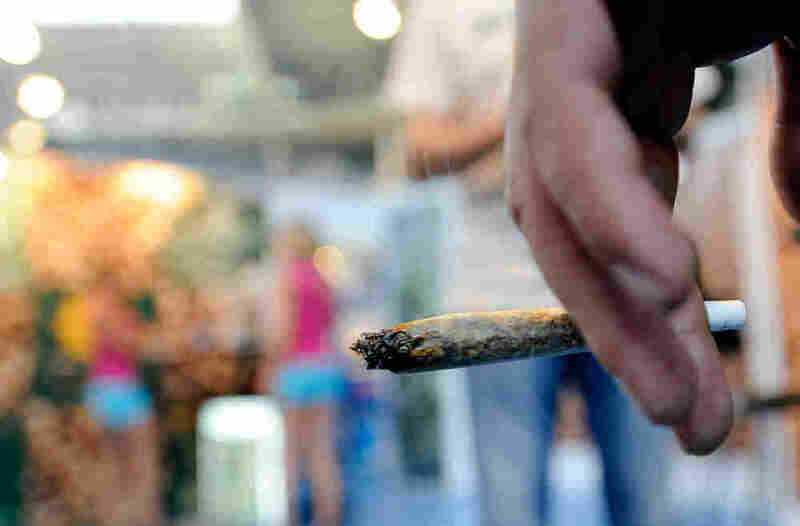 The researchers observed a drop in the use of drugs other than marijuana. While this is good news, the researchers said they were still concerned that high schoolers were less worried about the dangers of drugs like ecstasy and LSD which could mean that young people might once again turn to them. While use of ecstasy, inhalants, and LSD is not rising currently, the investigators remain concerned because the perceived risk associated with those drugs has been in decline for several years and may leave young people open to renewed interest in those drugs. The study found that the largest area of concern remains the abuse of prescription drugs which teenagers illegally obtain from family members or friends or pilfer. And among those drugs, amphetamines used to treat attention deficit disorder are among the biggest problems. While there appeared to be a leveling off in the use of Ritalin, researchers theorize that some of the abusers might be shifting to the illegal use of Adderall, another drug used to treat ADD.